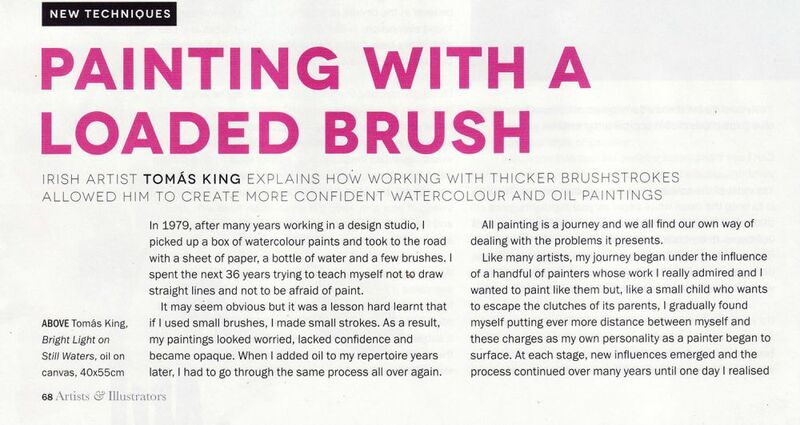 Tom King has an article ‘Painting with a Loaded Brush’ featured in the June 2016 issue of the ‘Artists and Illustrators’ magazine which is out now. 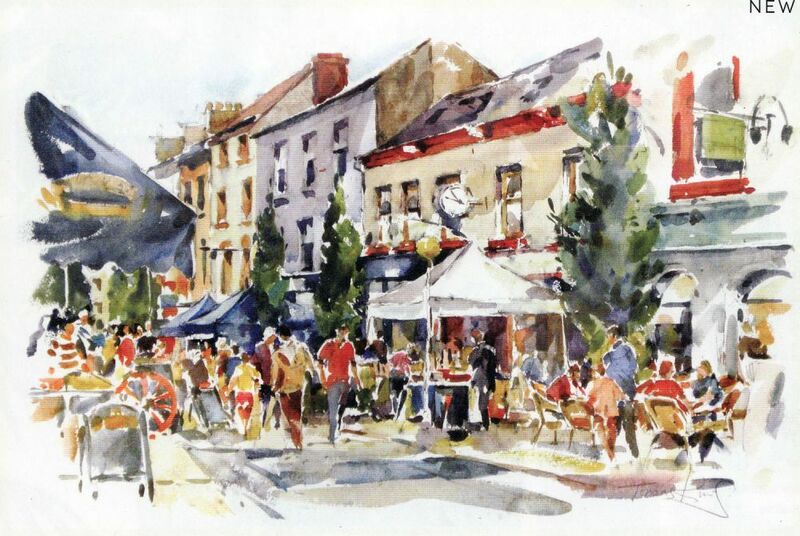 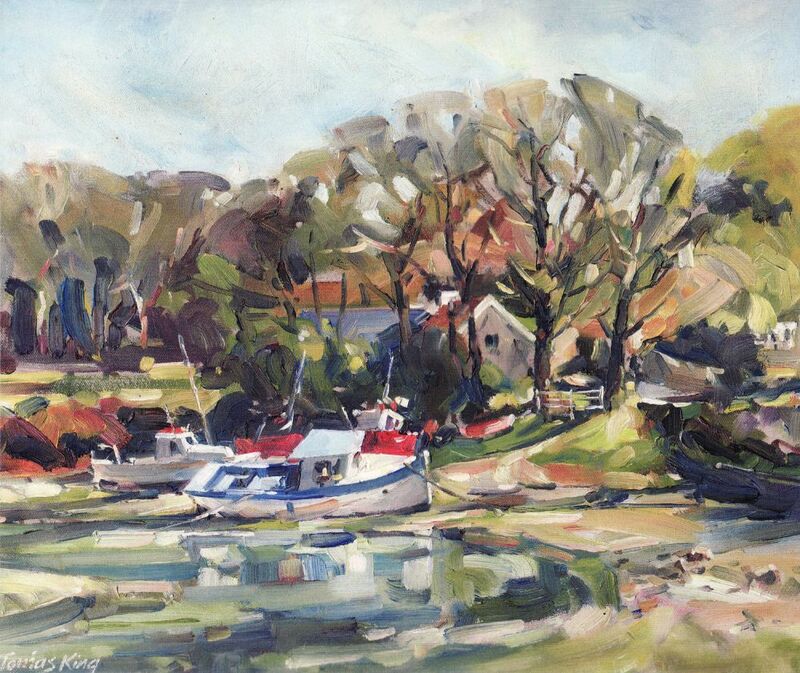 In the article Tom outlines the journey he has taken in his artistic development from a tentative watercolour painter using small brushes, to his present bold vibrant approach to both watercolour and oil painting. 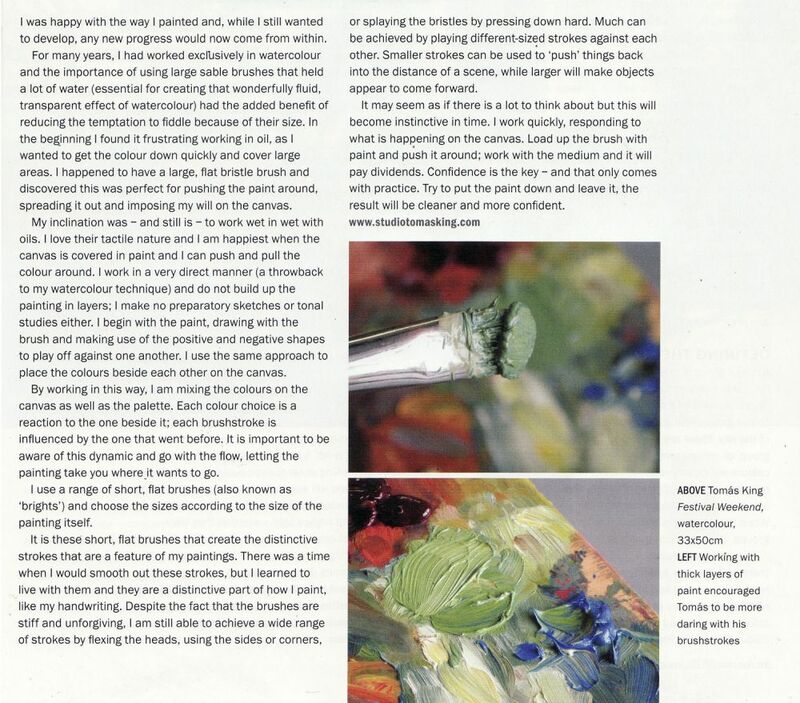 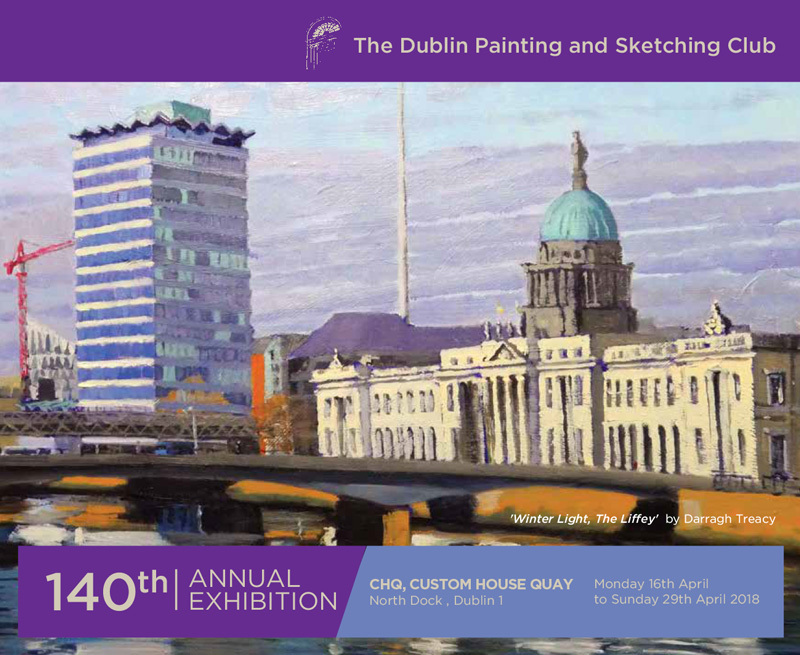 He describes in some detail the technical aspects of his current approach to his painting.